When shopping for car insurance in Lafayette Louisiana would you rather have the best rates or the best service? What if I told you both are possible? The Jeff Davis Insurance Agency has provided insurance solutions to thousands of policyholders throughout the state of Louisiana for more than 50 years! Call us directly by dialing 337-824-4455 for quotes on home or car insurance in Lafayette Louisiana or the surrounding areas. Or use our online rate quote system that is available 24 hours per day when you click on Car Insurance Lafayette La. One Way You Are Not Covered When You Lend Your Vehicle to Another Driver. In a previous article Carson Bertrand borrows his girlfriend Stephanie’s vehicle. Will Stephanie and Carson be covered if he causes an accident? Carson takes up Stephanie on her offer to borrow one of her spare cars and he is driving down to the beach to hang out with one of his other girlfriends the following Friday when he receives a text message from Stephanie. Stephanie learns Carson is heading to the beach with another girl and is breaking up with Carson and wants her car back immediately! Carson calls Stephanie on the phone making up a halfway believable story and convinces her he’s ‘working’ and not in a position to bring the car back right away. Stephanie agrees to meet Carson on Monday. As soon as he gets off the phone with Stephanie his ex-wife calls demanding that he pay his overdue child support soon or he’s going to jail! Speaking to his ex-wife always upsets Carson and in the heat of the moment he takes his eyes off the road for just one or two seconds not noticing a minivan in front of him suddenly stopped. Carson, driving Stephanie’s 2001 Porsche Boxster slams into the Ford mini-van going about 25 mph and the Porsche is destroyed, the minivan is badly damaged, and Carson along with one passenger from the minivan are transported to the hospital. A claim is turned into Stephanie’s insurance company and after an investigation they deny coverage for the damage to the Porsche and minivan and the injuries to all of the passengers in question. Because Carson’s driver’s license was suspended the insurance company could legally deny the claim for liability and damage to Stephanie’s vehicle. Please note that not every insurance policy has this restriction. You should read your individual policy before turning over the keys to anyone who wants to borrow one of your vehicles! Car Insurance Lafayette Louisiana – Better Options Are One Call or Click Away! As the above fictitious story illustrates car insurance is far more complicated than the price we pay and it’s important to work with an agency that offers a coverage checklist to help you learn if you have coverage gaps in your insurance protection. Call Jeff Davis Insurance today at 337-824-4455 when you’re shopping for car or home insurance in Lafayette Louisiana or the surrounding areas. Call Jeff Davis Insurance at 337-824-4455 when you are looking for better rates on home or auto insurance in Lafayette Louisiana and the surrounding areas! As a leading independent insurance agency in Lafayette Louisiana we can help you find great options on home, condo, mobile home, renters, business insurance, life insurance, and car insurance in Lafayette Louisiana! Online rate quotes are also available 24 hours per day when you click on Lafayette Louisiana Auto Insurance. How to Avoid Claim Denials by Lafayette Louisiana Insurance Companies! In a previous article we discussed how Stephen Tyler, a friend of Fred Johnson, wrecked Fred’s truck making a delivery to a customer. Stephens’s vehicle had broken down a few days before and Fred, being a Good Samaritan, allowed Stephen to borrow his truck. Unfortunately no good deed is left unpunished. A claim is submitted to Fred’s insurance company and about 5 days later the company denies his claim. Shortly after his claim denial, Fred receives a bill from the other insurance company wanting Fred to pay for an accident he did not cause! Why Did Fred’s Insurance Company Deny His Claim? Fred’s car insurance policy does allow something called permissive use. In other words if you lend your vehicle to someone not listed on your insurance policy, they should (in theory) be covered by your insurance policy if they have an accident. However when you allow another person to operate one of your cover vehicles, that permission does not supersede any other restrictions or exclusions on the personal auto policy. Stephen was involved in an accident while delivering a pizza in Fred’s truck! Pizza delivery unfortunately is excluded on Fred’s policy and for this reason the claim was denied! So in this instance Stephen used Fred’s truck in a way that was prohibited by his insurance company and they rightly denied the claim! The story went from bad to worse for Fred because Stephen did not have insurance at the time of the accident. Even if Stephen had insurance, his company may also have had a prohibition against pizza delivery. What will they use your vehicle for? Do I want to be responsible for their actions? It would probably be an excellent idea to find out why they want to borrow your vehicle in the first place. If the person borrowing your vehicle uses it in a way your insurance company prohibits, and they cause an accident, you might be on the receiving end of a claim denial! So before turning over your car keys to another person you have every right to ask them what they will be using the vehicle for, and you should ask unless of course you don’t mind being responsible for the actions of others! In our next article we will discuss why it’s important to make sure the individual borrowing your vehicle has a valid license! Automobile Insurance in Lafayette Louisiana – More Complicated Than the Price We Pay! 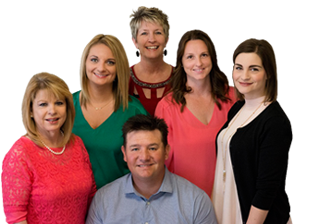 Insurance is complicated and that is why thousands of policyholders choose Jeff Davis Insurance to care for their insurance needs. We offer a coverage checklist to help you discover gaps in your insurance protection. A coverage gap might end up costing you thousands or even tens of thousands out of pocket! 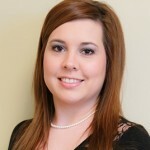 Call today when you need home or automobile insurance in Lafayette Louisiana or the surrounding areas. By typing car insurance Lafayette Louisiana, or its variation into the search engine that might indicate that you’re looking for better rates, a better agent, a better company or all three for your home or automobile insurance in Lafayette Louisiana! The good news is that we can provide all three to you! Jeff Davis Insurance has been serving the needs of thousands of individuals, families, and business owners for more than 50 years in the state of Louisiana. Call 337-824-4455 to speak with our friendly licensed staff or in 5 minutes or less receive an online quote by clicking on Lafayette Louisiana Car Insurance. Steps to Avoid Overpaying on Car Insurance Lafayette Louisiana! In three previous articles we discussed ways to avoid overpaying on car insurance. You can click on bad credit, wrong car, and claims to avoid learning three steps to keep your premiums low. Today we are going to discuss your driving record; does it matter if you accumulate many tickets and accidents on your record? Do You Feel the Need to Speed? Lead Foot Larry is always running behind schedule. Because of this fact, Larry in the last 18 months has accumulated five speeding tickets and his insurance company just learned of Larry’s insatiable need for speed and decided to cancel his car insurance policy. Lead Foot Larry’s car insurance company rewards him with a cancellation notice. Prior to Lead Foot Larry’s 5 speeding tickets he was paying only around $80 per month for his car insurance. Now the cheapest price lead foot Larry can find is $280 per month. Ouch! Lead Foot Larry is rewarded by receiving more than a 300% increase in his premium because he feels the need to speed. What Is the Simple Reason Why Insurance Companies Raise Premiums When You Add Tickets to Your Record? Speeding can lead to the loss of control of motor vehicles, which leads potentially to accidents and injuries. For this reason insurance companies will aggressively raise rates or cancel policies when you feel the need for speed, and get caught! What Can You Do to Avoid Speeding Tickets and Other Moving Violations? Purchasing a radar or laser detector is not the answer. The best way to avoid tickets and other moving violations is to slow down, leave for work or school early, pay close attention to your speedometer, and make it a goal to obey the speed limits at all times. Taking these steps will help you avoid speeding tickets and other moving violations and huge rate increases on car insurance in Lafayette Louisiana. Call Jeff Davis Insurance If You Have Multiple Tickets and Accidents! Even if you have tickets or accidents we can help you find better rates. 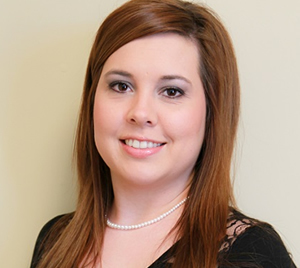 Call 337-824-4455 and speaking with our friendly and knowledgeable agents and we will help you save money on your car insurance in Lafayette Louisiana. If after hours click on Automobile Insurance Lafayette Louisiana for online quotes available 24 hours per day.